When a roof’s lifespan comes to an end, several factors can decrease the quality of the roof over time that would call for a roof replacement. Weather damage (hail damage, snow, and rain) and physical damage (UV rays) are just a few things that could lead to a roof replacement service – but there are several reasons your home might need a roof replacement. Have you noticed leaks, cracks, or deterioration over-time within your home? Those are things that should not be overlooked or patched over – they require a total replacement to keep further, costly damage from occurring. If costly repairs are not getting your roof back to working conditions, get a roof replacement in Fort Worth and Dallas, TX from the experts at Roofworx. Call us today 817-920-5974 to learn more about our exceptional roofing services. The weight of the roof. Remember, “adding on” to a damaged roof without repair services weighs down the structure and speeds up the aging process. The season in which you are needing the replacement. A dry season is ideal as winter months with snow and colder temperatures makes it difficult to replace with the added moisture around. A roof that goes without repairs over time is bound to lead to a replacement. It is important to have a sufficient roof to keep your home dry and in safe working conditions. 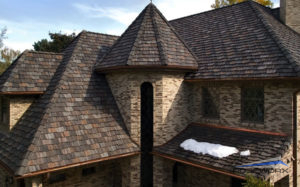 Perhaps your regular shingle roof has been costing you more money than you expected, and you are interested in a new roof with clay tiles or slate? Whatever your situation is, do not put off your roof replacement any longer. Not only will you experience more problems with a damaged roof, you might be out of your home if your roof experiences severe damage. A complete roof replacement for your home can seem daunting and a hassle – but it doesn’t have to be with professional roofers. 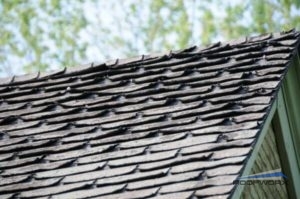 Roofworx has the experts when you need a roof replacement in Fort Worth and Dallas, TX. Whether you have issues right now or suspect your roof is about due, call us today 817-920-5974 to learn more about our exceptional roofing services. Updated on February 11, 2018 at 7:19 am by Roofworx & General Contracting.